Decimals and Fractions: Which is Bigger? In this worksheet, students convert between simple fractions and decimals to decide which of two given fractions is bigger or smaller. 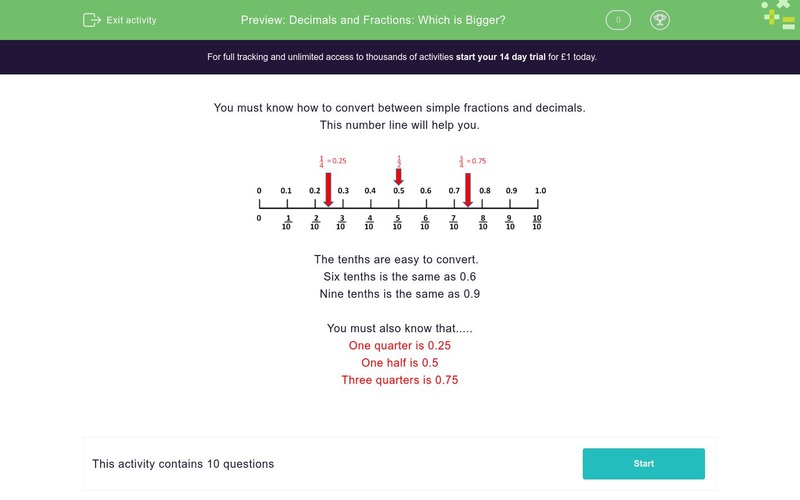 You must know how to convert between simple fractions and decimals. This number line will help you. The tenths are easy to convert.